Leslie Thornton’s They Were Just People is the third installment in the Moving Image Commissions, a series that addresses works by key artists in the Walker’s Ruben/Bentson Collection. They Were Just People will be presented on the Walker Channel April 8 through May 31, 2016. It will also be screened April 9, 2016 in the Walker Cinema, alongside films by Bruce Conner and the world premiere of Crossing (2016, video, 25 minutes), a brand new moving image collaboration between Thornton and previous Moving Image Commission artist, James Richards. “What violence can I do to an audience?” This was the question that confronted artist Leslie Thornton as she was making her new video, They Were Just People (2016, video, 10 minutes). Responding to the influence and inquiry of American assemblagist and filmmaker Bruce Conner (1933–2008), Thornton’s new work is a chilling exploration of the purpose and repurposing of memory during wartime. 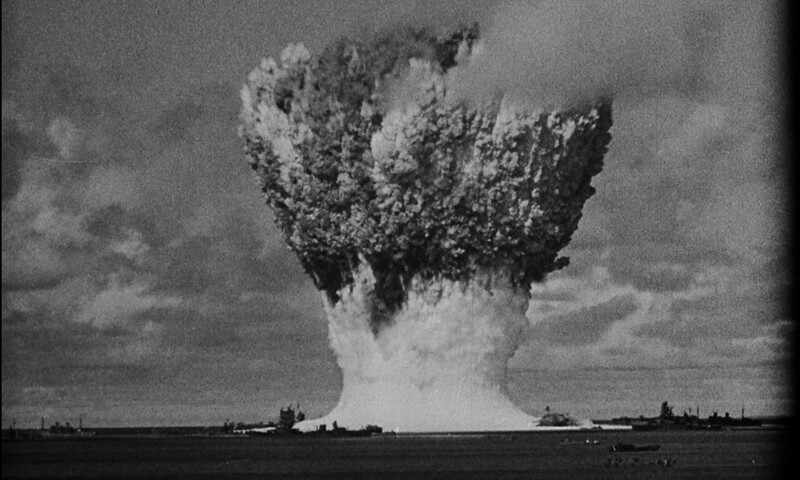 Thornton began making They Were Just People as a dark response to CROSSROADS (1976), Conner’s spectacular film of the 1946 Bikini Atoll nuclear test. 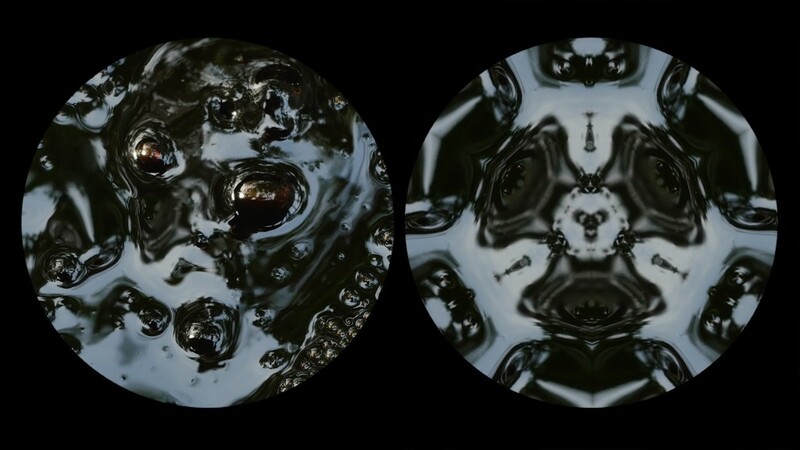 Part of the Walker’s Ruben/Bentson Moving Image Collection, CROSSROADS comprises 27 different takes of the test explosion. This latter black-and-white 35mm film is drawn from appropriated footage, an astonishing reworking of the US Defense Department’s documentation of the nuclear test explosion. Conner had successfully petitioned for the declassified but then-unreleased footage of Operation Crossroads. When permission was remarkably granted, he created a complex sequence of the moments immediately before, during, and after the explosion, setting the work to two separate scores by composers Patrick Gleeson and Terry Riley. While CROSSROADS remains a bravura spectacle of repetition, annihilation, and abstraction, Thornton’s response adopts a slower speed of horror, locating and inhabiting a sluggish dread. They Were Just People combines Thornton’s own manipulated footage of the La Brea Tar Pits in California with an oral account describing the horrific moments after the US dropped the atomic bomb on Hiroshima, Japan, on August 6, 1945. Conner’s work obsessively searches for the exact moment where the world was violently and permanently changed; Thornton’s video is concerned with the persistent half-life of violence. They Were Just People is also an intensely personal film for Thornton. Much of the techniques and materials used in the video have appeared in different forms of her work before, or samples have lain dormant in her archives for some time. Interwoven into the core impulse of her work is Thornton’s biographical material and her complex emotional response to her own family history. Both the artist’s father and grandfather (unbeknownst to each other at the time) were engineers in the Manhattan Project, and it was Thornton’s father who fastened the last screw in the atomic bomb dropped on Hiroshima. Thus They Were Just People is tethered not just to the ambivalence of the artist’s own relationship to the material contained within the video, but also to the capacity for moving images to be a conduit for speaking about and providing critical resistances to histories of violence. They Were Just People is a work that constantly looks back, both conceptually and formally. The image is, after all a stereoscopic one­—a pair of eyes. 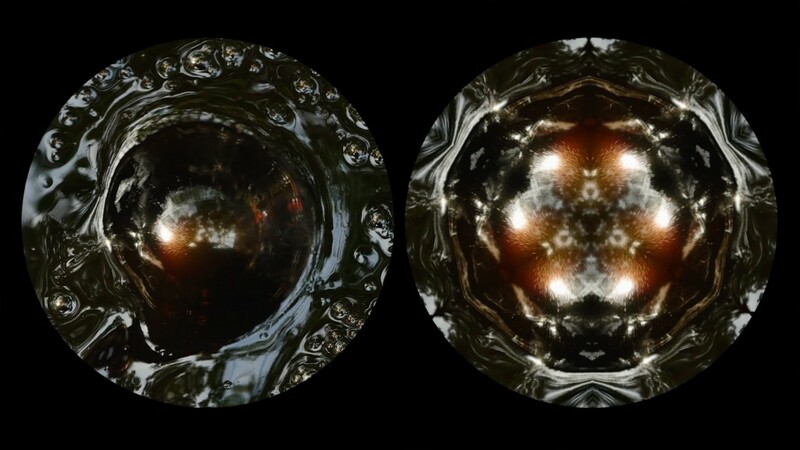 On the left Thornton shows a shot of the lumpish bubbling asphalt lake in La Brea, while on the right she presents a prismatic reinterpretation of the same footage as if seen through a kaleidoscope. Together, they are simultaneously seeing and distorting. “It is a mechanical gaze, but it seems so full of life to me, so intimately ocular,” Thornton has noted to writer Kevin McGarry of her double image technique. “It is related to the way a binocular as a technical extension of our eyes isolates and frames.” The image appears to speak of vision and its lack, a manipulated and refracted surface that is suffused with abstraction. The bubbling tar pit is a material that persistently refuses to reveal itself; oily blisters pop on the surface to reveal momentary holes that show only darkness, dense and engulfing. They Were Just People is a commission by the Walker Art Center with major support provided by the Bentson Foundation.